It wasn’t easy. Foodies who managed to be there on the 5th eve will vouch for that! It was a day that had witnessed the greatest rainfall in the year maybe, and we had to drag our wheels through horrible traffic, and our feet through knee deep water. Bar ekbar jo humne commitment kar diya, uske bad main khud ba bhi nahi sunta. And for Monkey Bar, we can do it Bar-Bar. (Noun) : a Pub that specializes in serving high quality food. It’s a concoction of “gastronomy” and “pub” . In simple terms, that’s the kind of place to be, if those power cocktails aren’t enough to get you high- you need some delectable food too. A few years back, people in India weren’t familiar with that kind of an experience actually- till Monkey Bar decided to launch a revolution in the art of drinking in the country. Conceptualized by Chef Manu Chandra, it had its first outlet in Bangalore in 2012, and then moved on to Delhi and Mumbai. I first heard of it during my association with the Times of India Passions club, when Monkey Bar was awarded the title, ‘The Best Bar’, four years in a row, by The Times of India. That was the one thing missing from the Kolkata food scenario. Well, no more. A week back, I got an invite to be a part of the pre-launch event, of guess what? Monkey Bar’s first outlet in Kolkata. Yes! Located on the 9th Floor of Fort Knox, in Camac Street, it was starting operations from the 6th of September. I definitely didn’t want to miss out on the opportunity of getting a glimpse of their menu in the city- for Manu is known to add those special twists to his dishes- inspired by the local flavors and spices. I wanted to see what he was doing with the Fish and Meat, because people in Kolkata are known to be very choosy about these things. You put a spice wrong, and that’s about it. I was a bit early, cameras in tow.I wasted no time in getting trigger happy- I had to justify dragging along the shooting equipment through that downpour. Gaurav showed me around- these guys had chosen their location wisely- you look out of the window and you get to see the Vidyasagar Setu, Victoria Memorial and the St Paul’s Cathedral. Friendly reminders- in case after a few of Manu’s concoctions, you find it a little hard to locate which city you are in. The outdoor unit was unfortunately closed tonight due to the weather conditions. Their indoor décor had drawn heavily from the colonial clubs of Kolkata, with a high arched ceiling, crimson façade walls built from clay blocks, and interspersed with large glass panes. The downpour had taken a hiatus, and people started pouring in. It wasn’t long before the large space was bustling with excited voices and friendly banter. You couldn’t miss the more than frequent sound of shutters clicking- we couldn’t resist shooting out to glory. There was still something missing -we were eager to taste and sip what the Kolkata version had to offer. But the bartenders were busy prepping our drinks. The Tipsy Sherbet, in its Final Stages ! Soon enough we were raising A Toast to Calcutta, feeling Tipsy (with the) Sherbet, as the Copper Monkey Packed (quite) A Punch. Dil Mangaa more, and Manu was happy to oblige us Mad Men with his Med Platter. Tipsy Sherbet: Tequilla, served with Rose Syrup, Lime and Egg white ! And the Manga: Vodka, Aam Panna, Sweet lime and cumin. Gets served in earthen cups, with the name written in both Bengali and English fonts- clearly this was supposed to be their signature drink for the Bongs! Pack a Punch: This was my personal favourite. I hadn’t been much of a Charles Dickens’ guy, but when I heard that this had been inspired by his favorite drink- I had to say the man had taste! By the time Manu had started dishing out his mean bites, I was Punch-ed nice and high. Nice ploy for the food critics, I would have said elsewhere. But tonight was different. The food was good. As in finger-licking good. My recommendations ? The Baked Brie, with Caramelised onions & Marmalade( Its stuffed in Puff pastry, baked and served with a fruit compote, chilli oil & Basil). Subtle flavors, that melt in your mouth. The perfect light-bite! Tiger Beef : Slices of steak tossed with chilli paste, black beans, ginger, bean sprouts, lemon, and peppers. I hadn’t been able to cut a beef slice before with the regular knives on the table. Tonight was proving to be something different. Manu told us, that’s because they marinate the beef overnight, and that adds that softness and punch to the beef. Portion sizes are adequate for one. But you may be left wanting more, going by how it tastes! Chicken Chapli : Marinated kebabs, served on egg parathas, with onions and mint chutney. Much like the Galouti kebab from Lucknow, with a nice twist. And after all these, if you still have room for desert, do try their Snicker Bar– a heavenly milk chocolate ganache, with dark chocolate cake and hazelnut praline cream. Oh yes, did I forget the delicious salted caramel gel on the side? And so, that’s about how the night was! Monkey Bar had impressed us and we promised to come back to have a peep at the full menu, when it gets launched! An if nothing, just for the sake of having lazy conversations over a glass of their concoctions. 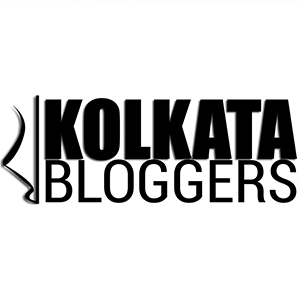 Archya, in his own words, is the trying-to-be-global bangali babu, who is attempting to carve out a niche for himself in blogosphere, having had mixed results in Medicine Practice. In short, a struggling artist. Superbly written and the pictures are fantastic! Wow, the food looks lip smacking!